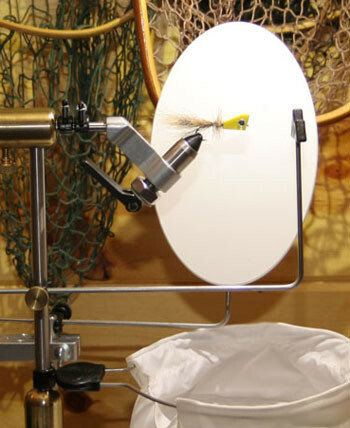 FlyBass Pro Tyer Station - Everything you ever wanted for pro-level fly tying. It also makes the ultimate gift for someone looking to get into fly tying or looking to upgrade. 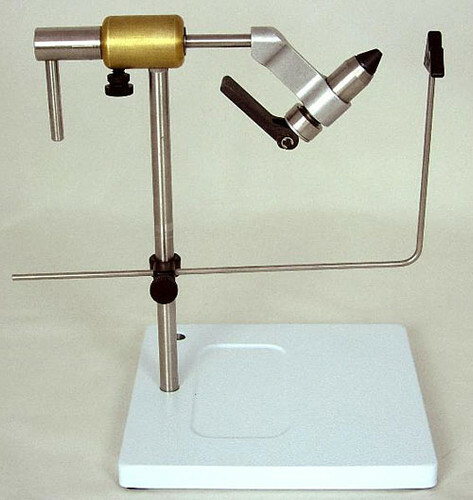 You get nearly $600 worth of top quality fly tying tools for only $499. 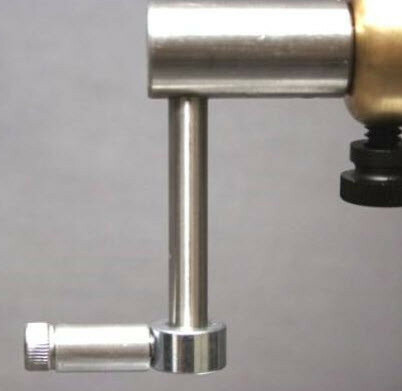 PEAK Rotary Vise - Check out the vise ratings on FlyFishOhio.com. Peak wins the Number One value! Bobbin Cradle and clamp for stem. 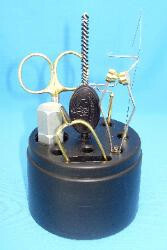 High Performance LED Fly Tying Portable Light - designed to be mounted on a 3/8" stem. Best mounted on the Accessory Shaft allowing it to sit about 3 inches away from the main vise stem. Additional jaw: either Midge or Saltwater - comes with standard jaws. 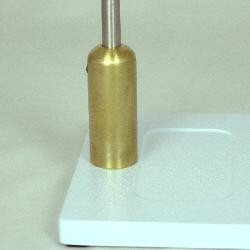 Brass Riser - 3" height extension - may or may not be used. Brass Screw Kit - "bling" to replace the black plastic standard screws. D-Arm - on the rotating handle to add in turning the vise. Two Material Clips - different size spring coils for different diameter materials. 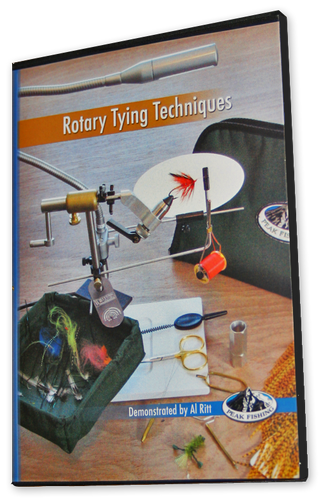 PEAK Rotary Tying Tips DVD by Al Ritt. Profile Plate - for better viewing behind the fly. Waste Catcher - Not Shown in Main Photo (shown in next photo above) - your wife will love this one. love the rotory vice from peak, but when I went to put it all together the 3/8 dia. shaft would not fit into the brass extention which came with package! the tools with the pro package are not what I expected, as far as quality. the bobbin ceramics don't line up when you try and thread the wire down through it. I have only used it for about eight hours. I will give it some time, maybe it's me getting used to it! I finally got some time to put my vice together. First I'll tell you what I liked about the Peak G-2, once I got it the way I wanted it. 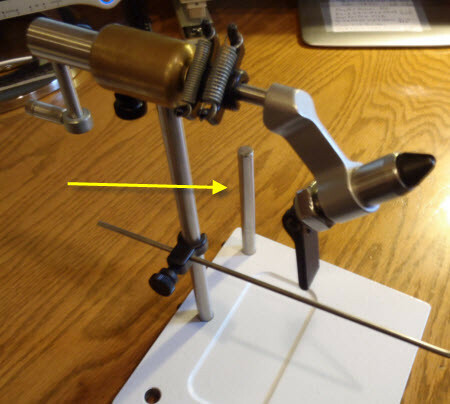 Love the vice,very stable, very smooth operation, and the most important thing of all - it rotates perfectly in line with the axis of the crank shaft. Both sets of jaws work great - good holding power. Nice working height (with riser on). I like the fact that one, or both, material clips can just be turned out of the way. 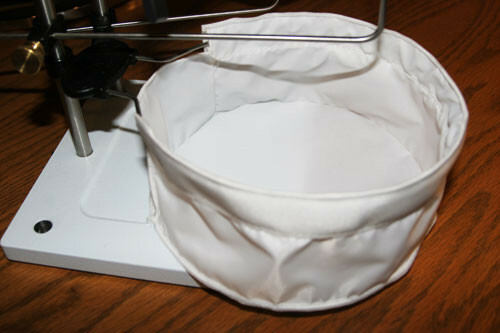 I moved the bobbin cradle over to the accessory post so I can just pop that whole piece out at once. I really don't use it that often only on real showy wet flies, when you need all the room you can get, to tie in alot of delicate materials. I like the little crank handle, seems easier to rotate and the brass screws with the nylon inserts are much better than the stock plastic screws. All in all - my other vice is a Corvette, this thing is a Ferrari. Really like it, and I'm hard to please, as you will see in the next paragraph. I looked around for a long time before I finally settled on the Peak Rotary Vice. After reading reviews and comparisons, I found it to be the most full-featured vice for under $200. 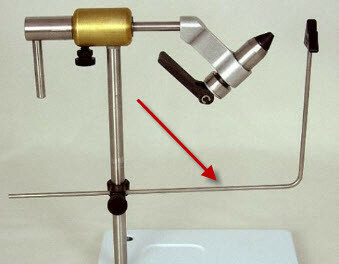 It's a true rotary vice, meaning that the hook shank remains parallel to the work surface as you rotate the fly. Some vices, even some more expensive than this one, are advertised as "rotary" vices, but the hook shank will rotate at an angle, making it difficult to apply materials such as hackle, chenille and peacock herl. I also liked that the vice came with both the pedestal and the clamp bases. Each base also has a place to mount an additional post, which I find handy. 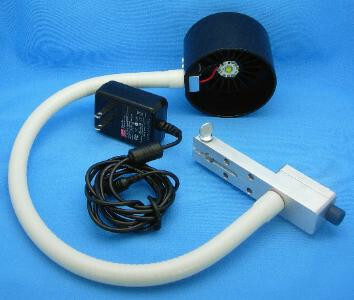 I use it to mount my lighted magnifier, for getting a closer look at small flies. Included with my kit, was a riser for increasing the height of the vice, a set of upgraded brass knobs, the bobbin rest and a saltwater hook jaw set for hook sizes up to 6/0. The standard jaws can hold hooks from #2 down to #24. Although I didn't purchase it, there is an additional set of jaws that is especially for hooks size #16 and smaller.